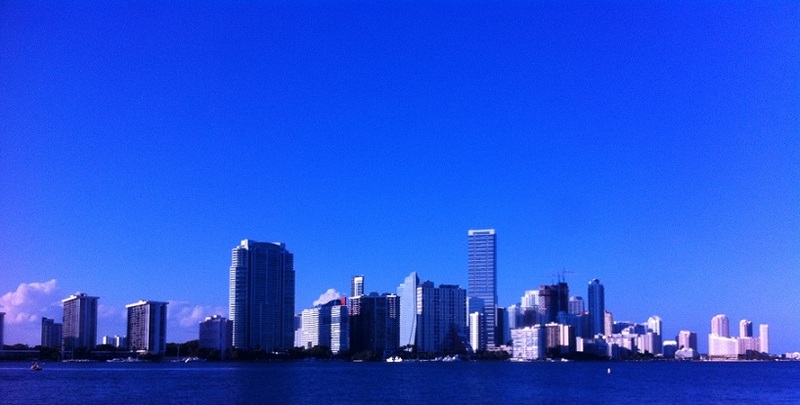 I am back from two weeks in Miami and it was a great trip! Pretty expensive, although it was pretty close to what I expected, and most of it was shopping for things I needed and a few treats… Here is a quick recap. The flights from Miami to Guatemala on Spirit were $275 including one luggage each on the return flight. We went with a small backpack and bought suitcases on the way back to fit all the stuff we’d bought. Spirit really has great fares but it is a pain to change or cancel your flight so you have to be sure you’ll use it. We were supposed to have a free house and car but that plan didn’t work out, so we rented an efficiency unit for $400 for two weeks, from a friend’s mother-in-law. It is a great rate, rentals were much higher on Airbnb. 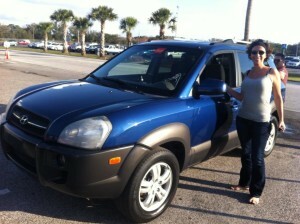 We also rented a $270 car from Alamo. 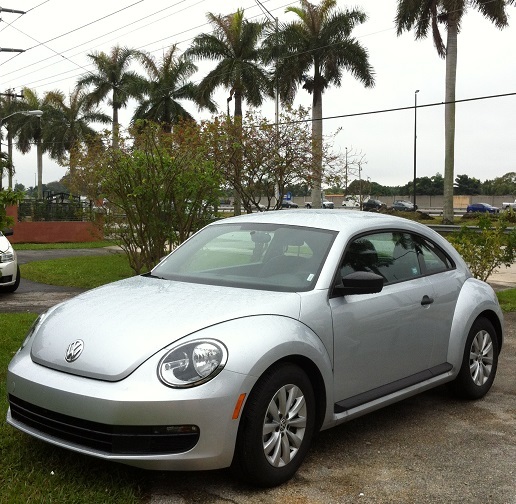 It was a cool 2013 VW New Beetle with only 3k miles on it but two days before going home the AC stopped working. 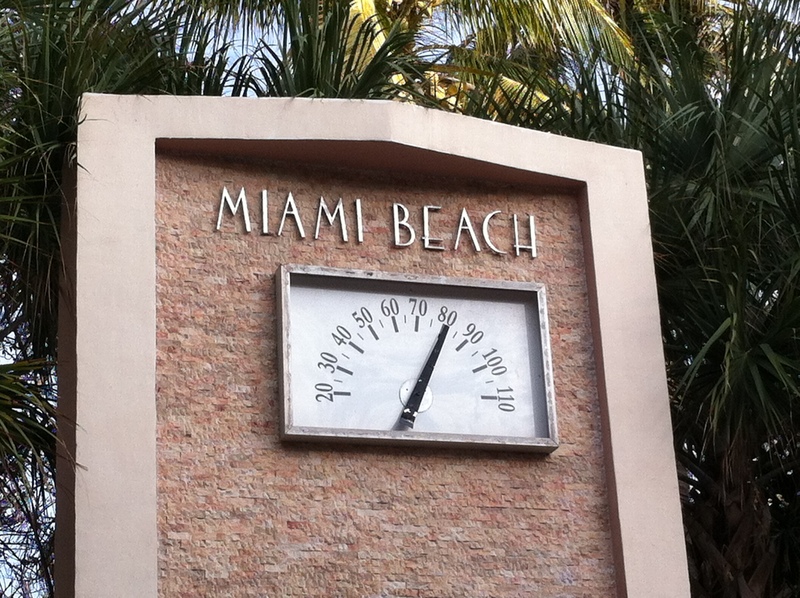 Miami was in the high 80s so it was a real bother, and when we mentioned it on returning the car the manager gave us a free tank, or $50 value. From my previous online research they were one of the only main companies to also not be fussy about international rental car insurance, which I had built in with my Mastercard if I used it to pay for the rental, but most companies will pressure you to take additional cover. On top of the car, we spent an additional $450 each for two weeks on food and joint expenses like gas and tolls. We ate almost every day at the Japanese seafood buffets, boy will I miss sushi when I get back to Guatemala. All you can eat oysters, crab legs and sashimi for $20 is a steal. We went out once to Mango’s, a fancy $20-drinks bar in Miami Beach which apparently has lost part of its glory. Aside from that we mainly had dinners with friends, at buffets or their places, and saved a lot on food compared to regular restaurants. I paid for an extra $50 restaurant and a $50 tank of gas to go to Key West, as BF had been there many times and was just keeping me company, plus $50 for my own things, like the flu pills when I got so bad after being under the AC all day. My total was $1,210 for two weeks. The last time we toured the US on a motorcycle we spent that amount on average for a full month but we camped a lot and didn’t need a flight or a rental car. At just over $80 a day, it was a pretty good deal. Now on to the shopping spree… it was HUGE, well at least for me, I don’t remember buying that much stuff in such little time, except when I buy a house and have to furnish it. 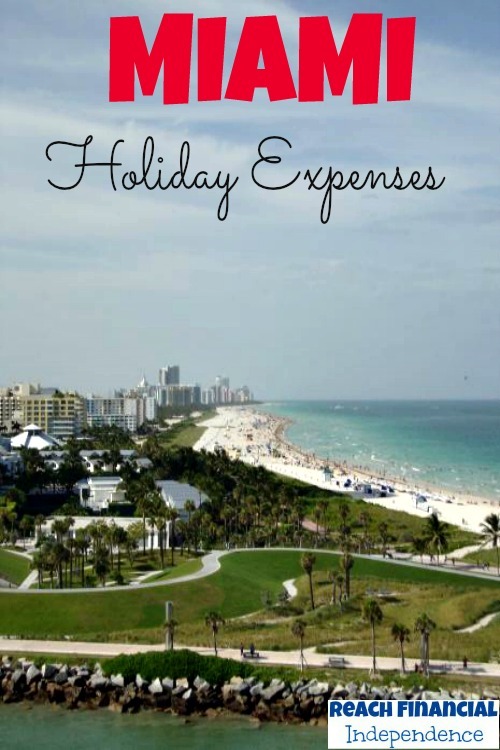 We went to all the major malls around Miami, Aventura Mall, Sawgrass, Dolphin Mall, International Mall, The Falls, Dadeland, and a few more I must have forgotten. It was exhausting. I don’t know how shopaholics do it. On the first day I was excited to get new things as I really had a few needs I couldn’t buy in Guatemala but after the second mall you realize the brands and stores are pretty much the same everywhere. Still, I was able to find some nice things. Victoria’s Secret got $106 of my money, for cotton underwear (hard to find in Guatemala and a must because of the heat) and Soma Intimates $59 for four bras on sale. It was a great deal for a DD-DDD cup and they feel great too. I got a swimming suit at Victoria’s Secret as well, and BF gifted me a second one. I got two jeans at $57 at American Eagle, after checking out a Levi’s store with no sales, I later found Levi’s had $20 jeans in another mall. That is the bad part about going to several malls, you buy a lot at the first without knowing if there will be better deals later. At the Rack Room I bought two pairs of Asics running shoes, supposedly second one half price, for a total of $230, then next door was the Asics store which had one pair at $125, so I only saved $20 with the group deal. They feel awesome and I can’t wait to take them out for a run. I wanted a duvet cover, after buying second hand 100% cotton ones in Guatemala for under $10, dropping $80 on a more basic one at Target hurt a bit, so I kept on hunting and found a nicer one from Martha Stewart at Macy’s for $55 and returned the Target. Macy’s had great sales on towels too so I got two large ones for my bed and breakfast for $14. For $90 I bought a 75ml fragrance from Chloé, then BF said it was probably fake, as many malls sell cheaper imitations, it was at $130 at Macy’s so I am not sure it is a real one. 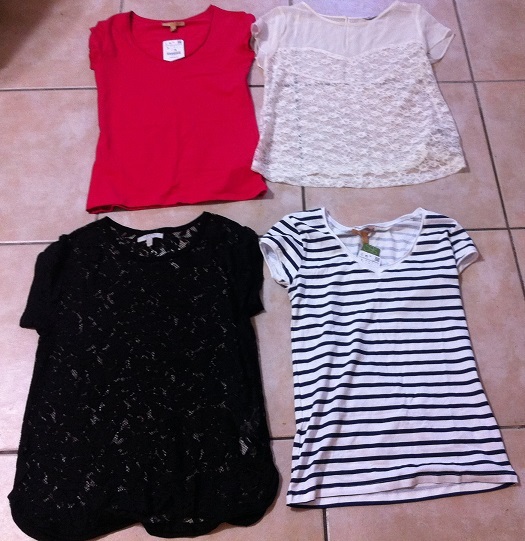 For $85 I got four tops at Zara, a long sleeve T-shirt at Abercrombie, a couple of camisoles at Forever 21 and a hoodie sweater at Hollister. My niece got 3 tops and a pair of pants at Osh Kosh for $28. Probably my biggest discounted item, a lovely dress from Max Azria at $43, down from $188. The item I was looking forward to was changing the laptop I had bought back in October, that I didn’t like. 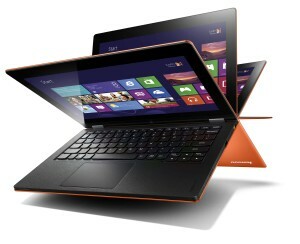 I got a cool Lenovo Yoga for $856 at Best Buy, and was pretty sad I couldn’t find a coupon or anything to help with it. Then my friend said he could have gone with me for tax free shopping and would have at least saved the $57 in taxes but that was too late. The laptop is really cool though, it starts super fast and has a solid state hard drive so the disk doesn’t break like normal laptops. Let’s hope it lasts for years to come! The old laptop I will donate to my village so the kids can learn typing and surfing on the web. I wrote about it before I left and was really fortunate to get two laptop donations, one from Crystal and one from a new reader, plus I bought another $350 HP refurbished laptop from Walmart, so I am coming home with 4 laptops! To fit all that, I got a $27 suitcase that arrived in one piece and will at least serve for another trip, in spite of a friend calling it “one trip suitcase”. I was about to splurge on a Samsonite or a Swiss Gear one but they didn’t look as sturdy as I wanted to justify a $150 price tag. And there was also a huge, unexpected purchase… BF wanted to buy a car and contacted a dealer friend of his, who let us browse the auction sites reserved to dealers. He found a car for him, and I was tempted, as my 1996 Suzuki Samurai is pretty beaten and having a bigger 4WD to take guests around (with AC!!) would be much more comfortable. Long story short, we drove to Orlando, and came back with my Huyndai Tucson! So far, it has cost me $5,940, including the purchase price, dealer fee, some new disk brakes and pads, shipping by boat to Guatemala and the trip to Orlando. We thought about driving the car back to Guatemala which would have been a cool road trip, but dealing with the Mexican customs and Police is a hassle so we decided to fly back and put the cars on the boat. I still need to pay import taxes but it should be $1,000 or so cheaper than buying the car in Guatemala, and the biggest advantage is most cars get to Guatemala all broken, after they have been in a huge accident, and they will sell it to you with cosmetic improvements to make you think it is in great shape, then it will start to break. With that car, I know it has no history of accidents and what I see is what I get. Grand total: $1,210 + $1,970 shopping and laptops + $5,940 for the car = $9,120. The trip was entirely funded with blogging dollars, so I owe you a big THANK YOU, I had a blast! Two weeks were actually pretty short to do all that shopping, look for a car, get four laptops, visit friends… Still we had a few days to explore the city, which is huge. Wherever you go, you need to drive or it will take all day. 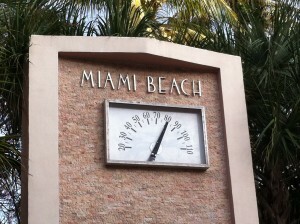 Miami Beach is walkable, you can even rent public bicycles, but that is about it. I loved the beach there, and also Coconut Grove and its houses nestled deep in vegetation. Another nice neighborhood for a drive is Coral Gables, with even bigger and older multi million houses. The road trip to the Keys is a must, although it makes for a pretty long day if you don’t sleep there. Key West is lovely, with a Caribbean feel except that it is much cleaner and orderly. 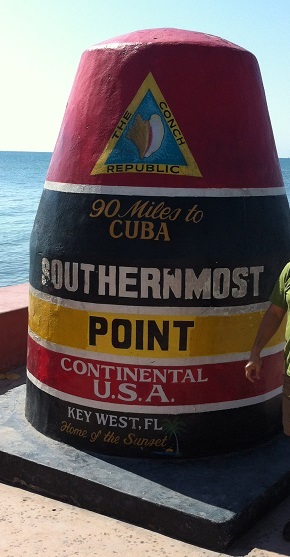 That is the Southernmost point of the continental US, only 90 miles from Cuba. What was your last crazy splurge? Sounds like an awesome trip! Your laptop sounds really great, and it’s nice you were able to pick up some laptops for the kids in your village! I’m sure they will be so happy! I hope so! And that they take care of it but the laptops are old so they’re sturdy.. I flew on Spirit to Atlantic city about a year ago and remember being incredibly psyched about the price, and then feeling incredibly deceived that almost anything you wanted to do beyond simply sitting on the plane was an extra cost. But I think if you know that ahead of time it can definitely be a good way to get a deal. Glad you had fun and got home safely! It is annoying to have to give your bottle of water to security and then buy an overpriced one in the plane. We knew what we were getting into so had snacks and gum and didn’t mind the rest because it is still around half price from a regular flight to Guatemala. That’s a crazy amount of shopping… those malls are huge! I can’t imagine hitting all of them (as well as other places!) in just a couple days! 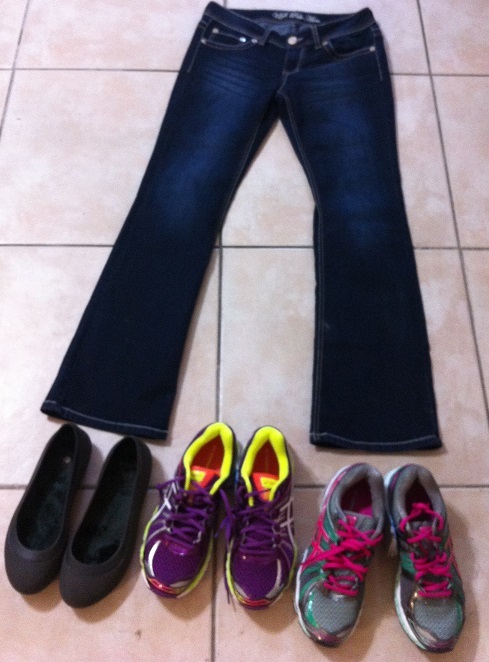 It was pretty intensive shopping, way too much for my taste but there was some things I needed. I can’t fathom people going to the mall every weekend, once a year was more than enough. Sounds like you had a great time Pauline and way to go by funding it with all blogging income! We splurged quite a bit while we were in Vegas, but thankfully a lot of that was covered by our rewards points. The laptop looks really nice – I’m thinking I want something very similar when it comes time for me to upgrade from my piece of junk right now. Whoa, that sounds like an awesome trip! I can’t believe you went to that many malls, I would have given up a looong time before that. I can’t believe you bought a new car while you were there too! I can just imagine going through security with that many laptops…. everyone must have been rolling their eyes! I was dizzy of so many malls but wanted to prove my BF that I can swipe my card a LOT and even then my general level of happiness doesn’t improve much… Thankfully the airport was almost empty, but the security guy gave me the weird look! Sounds like you did great with all the shopping. The rental car is so cute. I always wanted to own a beetle. You got a great deal on the car you bought. I like the color. Key West is on my list of places to visit but flights are so expensive to go there. Spirit flies from pretty much all over the US to Ft Lauderdale and tends to have quite low fares. Then Key West is a 4 hour drive with a $20 a day rental car, the road trip itself is worth it as you go from island to island and it’s like you drive on the sea! I hadn’t thought about that, but you are right! So incredible that the entire trip was funded with blogging dollars. You are a rockstar, Pauline! Glad you had a great time in the states, and congrats on the new ride! Spirit can be really annoying to deal with. They have the cheapest rates to visit my parents, but I had to ship my clothes to them ahead of time so I didn’t have to pay for luggage. I got tired just from reading all the malls you hit! I have a pair of Asics and they’re great. I’ve actually been looking for a pair in purple, yours are cute! I’m glad you had fun and got so much accomplished, including the car purchase. Glad you had an awesome time! The Tuscon looks so cool. A very sturdy choice. I think it’s also cool that you are donating those laptops. So many things that are discarded are gold to others. I used to save all my crap for when l would go home, but in the opposite, take 2 suitcases and bring my carry on back. May the blogging dollars keep coming!!! Small Business Financing is our specialty. Learn about Business Cash Advances. Low rates, quick approval, flexible terms. Get a small business loan today.